Thoroughly enjoyed the music and all the scenes! Thank you! It's still magical (just got the update)! This is a lovely introduction to a timeless classic. 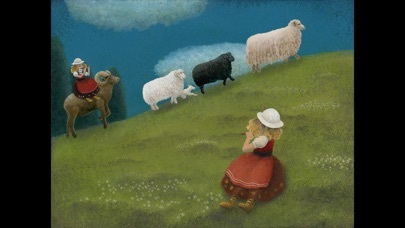 Tanaka's art is evocative, charming and captivating. Children will enjoy the hidden surprises as they touch objects on the screen. This app is lovely: the unique and vibrant images tell the story of the Nutcracker beautifully and work perfectly with the music! I was very disappointed that there was no option to have the story read to you much like other books do. My son is 3 1/2 and has really been in love with Tchaikovsky music (especially during the holiday season) so I wanted to introduce him to this story. The art & music is amazing but lacks certain appeal for children to enjoy on their own such as more interaction & the option to have it read to your children. A TREAT FOR EYES AND EARS! What a delight this app is! Very heart-warming! I found the animation and music are very unique and engaging--for young and old alike. Even my 16 year old thinks it's cool! I plan to save some trees and give this app to friends instead of holiday cards this year--especially since it will be enjoyable throughout the holiday season and beyond! A very modern & magical rendition of the timeless & classic Nutcracker. What a great and inspiring way to bring the arts alive through technology. The music for this app is SUPERB! The artwork is great, but the quality of the music accompanying it is terrible, it is a midi generated soundtrack that doesn't sound realistic at all. The story telling is not that great either, as many details are left out! 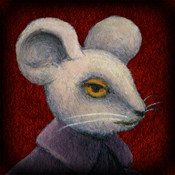 There are much better Nutcracker story apps out there, this one is not worth paying for. I'm gifting this to all my friends with kids. This app takes advantage of what an iPad can do - it's interactive, visually beautiful, and musical. You can't really watch in a passive way. My daughter loves it. 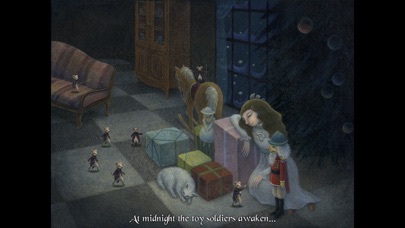 I like that it is real art, and tells the nutcracker story in an accessible way. I wish I had seen something like this before I saw the nutcracker for the first time. Great app! I love the approach of the developers that they went with art-graphics instead of 3d effects. This is a great way to introduce this classic work to kids and put you in the holiday spirit! This beautiful hand illustrated story really comes to life with animation and music in a way that no traditional book could. This is a new kind of "reading experience" that I haven't seen before, but I think it's the future of children's books. I have seen the Nutcracker Suite live, but for those who can't, this is a beautiful way to get the same joy. The combination of art, animation and music bring the Victorian period to life. It filled me with Christmas spirit, even in April! I recommend this not only to people with school aged children in their lives, but adults of all ages who still enjoy a little whimsy in their lives. Graphics are incredible! Everyone from the adults, our 8 yr old to our 6 month old enjoy this app. We still watch it in February! You guys did a great job! This takes storybooks to the next level. My kid and wife loves this! This is a terrific rendition of the Nutcracker story. It is easy to follow and tells the complete story in such a beautiful way. I really enjoy the little "surprises" on the pages and the sound effects. As a musician, I am especially impressed with the music and that it is true to Tchaikovsky's original score. The artwork is spectacular! I highly recommend this as a creative and artistic addition to your holiday apps! Worth every penny and a whole lot more. This app is beautiful and magical. My 3 year old daughter and I spent the bedtime this evening completely engrossed in the storybook. She said out loud "the end" a few times after the nutcracker turned into a prince and they met in the snowy forest. Little did she know that they would make their way to a magical sugary kingdom. I saw the ballet as a kid and got chills all over again! The interpretation and artistry is excellent. As a mom who gets most highly rated apps. This is by far the best storybook app ever, EVER! Thank you developers! Impressive app. Nice way to enjoy the Nutcracker at home. Needs an update though. Lots of changes in smartphones since 2014. This was a great experience, fun, and even for an app, exciting. My daughter, Katia loves it and said that it was really fun that she couldn't wait all the days to read one page. She read it so quickly and everytime she's on the iPad I find her on that app. In fact, I love this app too! It's really a nice way to spend time together and bond. Yoko did a really magnificent job with the artwork. It's very lively and beautiful. The special effects are interesting and catchy. The animation is truly terrific. And the audio fit very well with the pitures. I'd recommend this to anyone. Awesome job! This is a great app but I was expecting narration. The illustrations are beautiful but timing is a bit slow paced. Please add narration! I would gift it if there was this feature! Very disappointed that I spent so much money on this app! I wanted a version I could read to my kids. There is hardly any text. I have no idea why there are two play options (story book and movie) because they seem identical. This is a very good app to introduce the great ballet to everyone. Nice artwork and music. A great way to get into the holiday spirit! Love it!!!! Such a great app! Visually spectacular and a great rendition of Tchaikovsky's time honored masterpiece! The perfect stocking stuffer! A must-have for the season. Simply the most beautiful storybook app I have yet to see. Such fantastic, detailed artwork with wonderful music. Thank you for this! Truly A Musical and Artistic Gift For The Season!!! For those of you who love reliving Tchaikovsky's The Nurcracker each holiday season, this app certainly does bring back those fond, heartfelt feelings and memories of the first time you saw the ballet or even yet performed it! The geniuses who meticulously crafted this masterpiece loaded this app with great artwork and animation, all tied in with the timeless lavish music of Tchaikovsky. The artwork alone gives a fresh new view of the Classic story with both a sense of warmth and mystique! The easy to navigate interface makes this app great for all ages! Truly a Must Have App for the Holiday Season! This is a beautifully animated musical delight. Packs a powerful visual image and delivers concert like sound. Great way to introduce a novice to the classic Nutcracker or remind yourself about it's timeless beauty Bravo !!! My son and I read this story from the app before seeing the ballet. It really gave him interest in watching the ballet, as he now had an idea of what was going on. The pictures in this app are beautiful. It is a well thought out app. Only downfall I see is there is no option to have the story read aloud to you. This is nothing short of amazing and it's the first app that I am gifting to other people! Very well done and nicely priced! Beautiful and great rendition of the Nutcracker Ballet story and music. Artwork seems to be hand-painted and not CGI. My kids love it and keep asking to play the story over and over. Highly recommended for parents and their kids before attending a performance of the ballet. Just as the title states...The Nutcracker Musical Storybook. 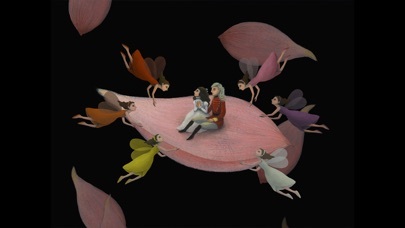 Its contains the beautiful classical compostions of the ballet along with goregous animated illustrations. My daughters (7 and 8 yrs. old) were mesmerized by this interactive book. The first few pages contain some interactivity, but as the story continued they grew frustrated in not finding anymore surprises. The only way to improve this story book would be to add narration for developing readers. Thank you for creating a timeless tradition that we can enjoy for a very long time. This storybook is a gem. All of the major music from the Nutcracker ballet, set to beautiful artwork. It's a great way to teach kids about the ballet before going to a performance, and one of the best storybooks I've seen in the iTunes store. The art and music are terrific, which means this has the potential to be awesome. It is not though. I cannot understand why there is no option to have the words read aloud. This makes no sense to me. I also expect a bit more interaction with the scenes other than a cat's meow or a sheep's baa. It feels unfinished. Amazing storytelling by the stunning artwork and music! Newest version is well done. Not changing my original review. If you’re taking your child to The Nutcracker Ballet - download this before going. She/he will get a great introduction to the story and music. I like that there is no dialogue to interfere with the music. The original artwork combined with the music creates such a unique experience. Never seen anything like this in a 'kid's' app. I agree with New Yorkbeat - there's nothing even remotely present in the app that would bother a young child. It's completely FAMILY-FRIENDLY. Very sweet and charming. My little girls loved it! I 'mirrored' the iPad to my Apple TV and used their 'Movie Mode' to let the story run from start to finish on my HD set and sound system. Looked and sounded incredible. So many memorable Christmas tunes from the ballet. Please release the music tracks separately so I can load them on my iPhone! If you are taking your kids to the Nutcracker or going yourself, get this app. You won't regret it. This was around 12 minutes or so...maybe more. Anyway, lovely music, gorgeous artwork. I am sure there is no read to me option because it would break up the music but it could still be done. Otherwise a neat app I expect we will go through several times. Wonderful Christmas story. Enjoy! Merry Christmas! Excellent graphics but not audio description. Young or old, you can sit back and let this magical storybook carry you away with its glorious original artwork, playful animations and carefully chosen selections from Tchaikovsky's classical masterpiece. We had the pleasure of watching it with others from kids to grandparents and in between: all enthralled by the clever combination of today's technology with this timeless tale of dreams gone by. The fireworks bursting over the castle and Cossack dancers are terrific, as are so many other scenes, each set to a perfect piece of the original score. Treat yourself, family and friends to the heart-warming, dreamy delight of this sweet app this holiday season, it's a very welcome, wholesome escape from the world of the first-person shooter! Thanks to the talented artists who put it all together. 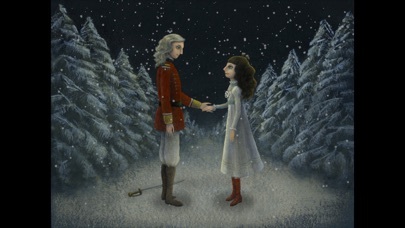 The Nutcracker Musical Storybook retells the classic ballet in a stunningly beautifully illustrated storybook. There are two modes of play, movie mode or story mode. 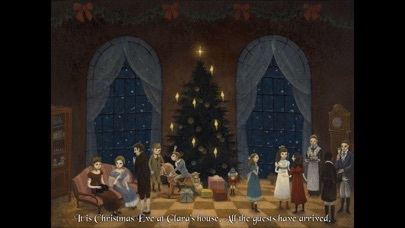 Movie mode is an autoplay feature, while the story book can be read page by page or by selecting parts in sequence from numbered ornaments on the Christmas tree on the book’s main page. Words are printed, but not spoken. Instead you receive one of the best sounds of Christmastime, highlights from Tchaikovsky's "The Nutcracker Suite." There are interactive parts throughout both the autoplay and book portions, which at times may interfere with actually listening to the music or story, (but are fun for independent play). Acting out the Nutcracker brings back cherished memories and is one way to extend play. There is a unsecured button to gift this app on the books main page, but otherwise no ads or IAPs. I would highly recommend this app. It was a nice app while it was working. For no apparent reason there is no sound anymore. This app is truly unique. Lovely paintings, animation, and a wonderful soundtrack. Also a terrific introduction to the story of the Nutcracker for all ages! My family loved this app. We have a 2 1/2 year old granddaughter who was captivated by the story and the music. She was able to follow along with the adventure and liked the wands that the mouse and toy solders used and immediatly noticed when the nutcracker became the prince. I am purchasing this app for several friends as gifts. I would highly recommend it for families. Gorgeous, a must have for the holiday season! This app is an absolutely beautiful rendition of the classic story. The art, animation, music (perfectly arranged) and hidden easter eggs will keep you and your little ones enthralled for hours. It's a great little storybook. If you're on the fence quit reading my review and just download the thing already! It's worth it! This is a visually stunning art piece that all the family will enjoy. I will be returning to this app again and again, and not just at Christmas! I recommend this app. Great art and music. I would recommend to have a feature to display it out to a TV. Confusing menu and navigations. Wish they had an option for pre-readers to have the story read aloud. Frustrating that I never know when a scene is over and if I should turn the page or not. Artwork is beautiful, and of course the music, but as an app it needs work to make it user friendly.